Chevrolet has, rather surprisingly, knocked Japanese brand Honda off the top of Warranty Direct’s Reliability Index. Warranty Direct offers warranties to owners of cars with no remaining manufacturer warranty. Their Reliability Index is based on the frequency of failures and the cost of repairs to customers cars. The Index is updated four times annually and the lowest score is the best. In the latest update, Chevrolet scored 20.00, with Honda in second place, scoring 30.00. 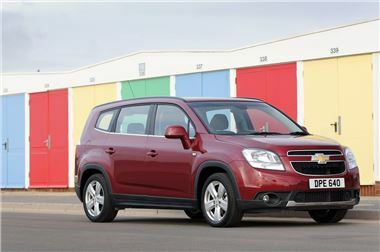 Chevrolet also have the cheapest repair costs, with the average cost of a claim standing at £195.14. Fiat were the next cheapest with repairs costing £40 more on average. Chevrolet currently offer the ‘Five-Year Promise,’ which offers warranty, roadside assistance, servicing, vehicle health checks and MoT insurance over the period, showing the brand’s faith in their cars.